I've always wanted to have a clutter-free home. Moving to a new home seven years ago was the first step for me. We only rented a small truck to transfer to the new house what's left from our belongings. I remember giving away 3 boxes of books was the most difficult thing for me. 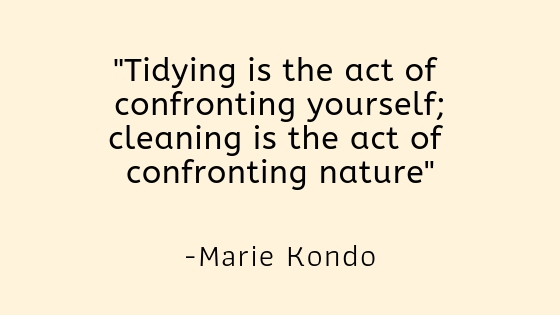 When Netflix released the reality series Tidying Up with Marie Kondo, it was an instant hit and everybody was posting about things that spark joy. Until now, I haven't seen a single episode. I've been telling myself, "What's there to know? I've been tidying up all my life!" But, am I doing it right? 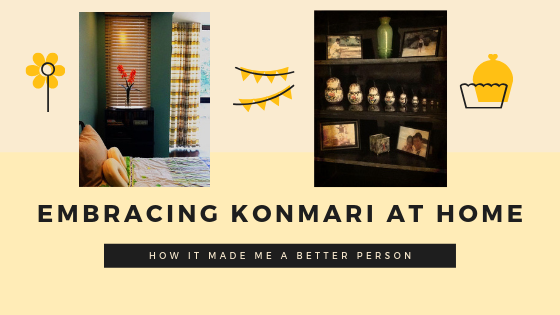 When I was invited to attend the "Applying Konmari and Montessori at Home Workshop", I felt like the universe was telling me to stop resisting the urge to know what Konmari is all about. 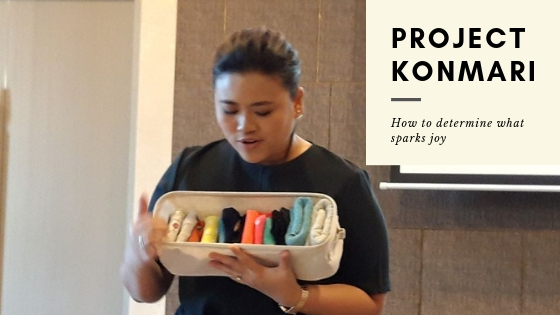 The main speaker, Miss Renelyn Tan-Castillejos, is a Konmari-Consultant-in-Training and owner of the World of Yorokobi. I was super excited to go home and start my "Project Konmari". The closet and my home office are the top two that need special attention. My closet is filled with clothes I haven't worn in 10 years. I've been holding on to them because I was hopeful that one day they will fit me or make me feel good when I wear them. Some of the clothes I am sure I will NEVER wear again but I've got emotional attachment so they stayed occupying precious space. How many cabinets, drawers and rooms in your house are filled with things that don't spark joy anymore? 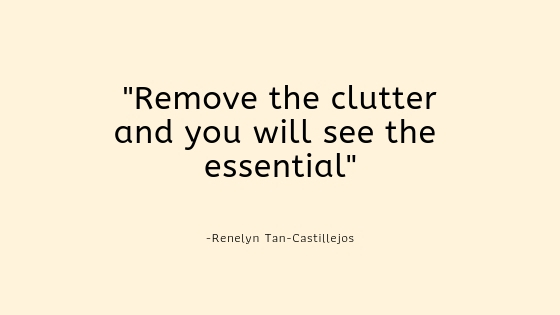 Miss Renelyn shared 6 basic rules of tidying. It's difficult to determine what sparks joy. 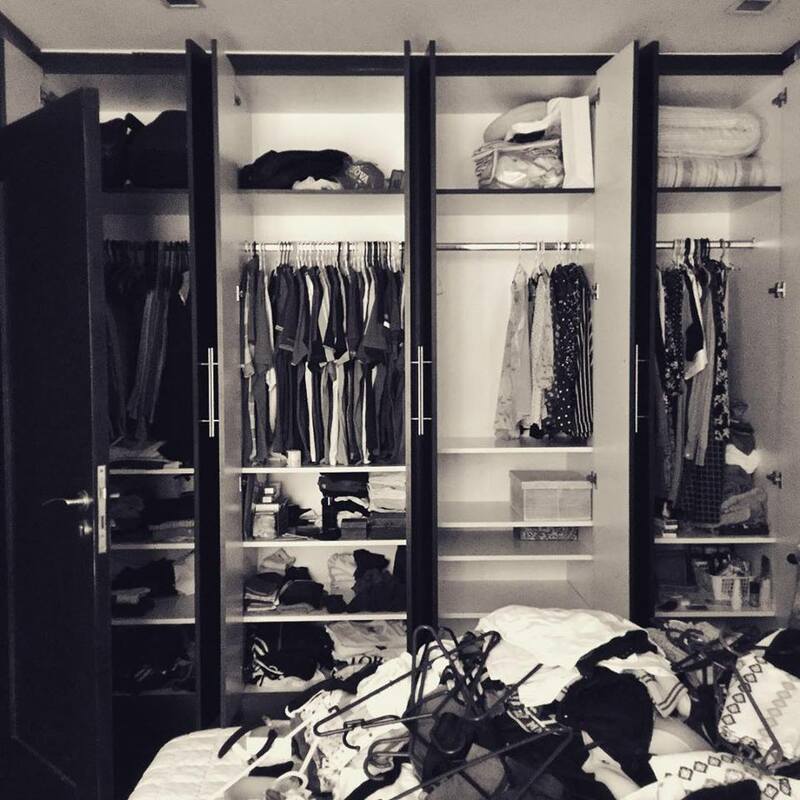 It will make you have a deeper understanding of yourself especially when you start tidying your sentimental items. Miss Renelyn suggested that you should not force yourself to discard sentimental items. No matter how cluttered it looks, you should not stop and quit. I've been holding on to things that don't have purpose in my life. I have no right to complain of not having enough closet space. I have more than enough but they are filled with non-essentials. I want to have a minimalist lifestyle but it seems like I'm accumulating stuff I don't need and the clutter is piling up faster than I am getting rid of them. While I was sorting the pile of clothes, I paused and reflected. Is my heart filled with negative emotions I've been carrying for years just because I can't forgive the people who hurt me? Or worse, because I can't forgive myself? Am I surrounded with people who no longer spark joy when I'm with them but I keep them anyway because I still believe they will change for the better? I'm still a work-in-progress in tidying up my space and my heart. But there's no stopping me to achieving the lifestyle I imagine and the best version of myself.